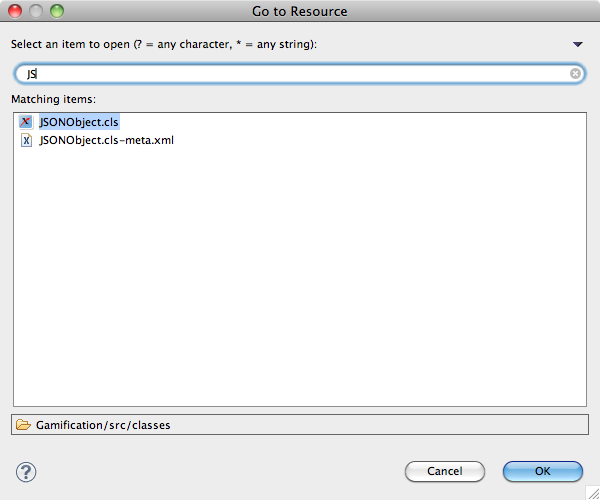 My coworker Phil recently showed me a neat little shortcut in the Force.com IDE/Eclipse to quickly go to any file in the workspace with the “Go to Resource” dialog. 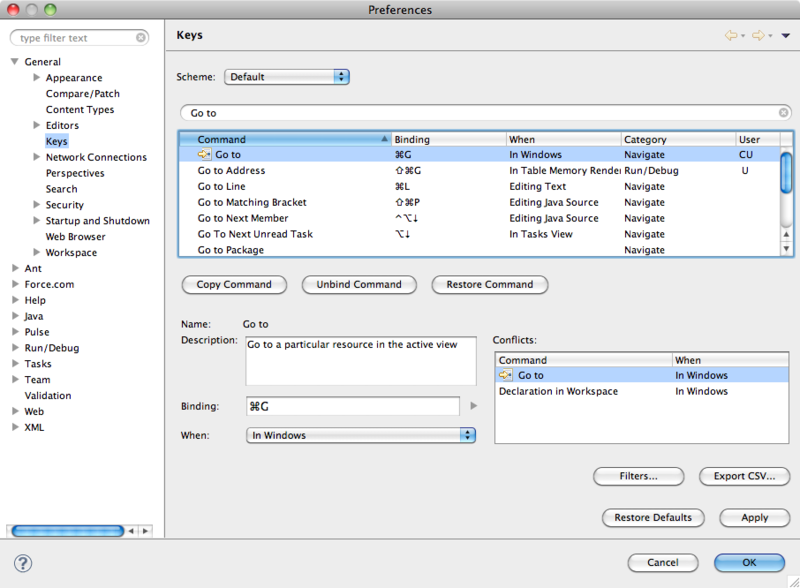 To enable this shortcut, go to the Force.com IDE menu > Preferences > General > Keys and search for “Go to”. The first result should be “Go to” (this references the “Go to Resource” dialog), which you can assign to a key combo like “⌘G” (this conflicts with the “Go to Address” key combo, so you’ll just need to assign that to a different combo). The “Go to Resource” dialog does a type-ahead search on all of the files in your workspace, and all you have to do is start typing the name of the file/resource that you’re looking for and hit enter when the right file is highlighted – much faster than hunting through your project folder tree for that class or trigger you need to edit!